The district will launch the Personalized Learning Initiative this fall, engaging 220 teachers and more than 7,000 students in classrooms across all schools and grade levels. The core goal of the initiative is to integrate instruction, digital resources and technology in the learning process. 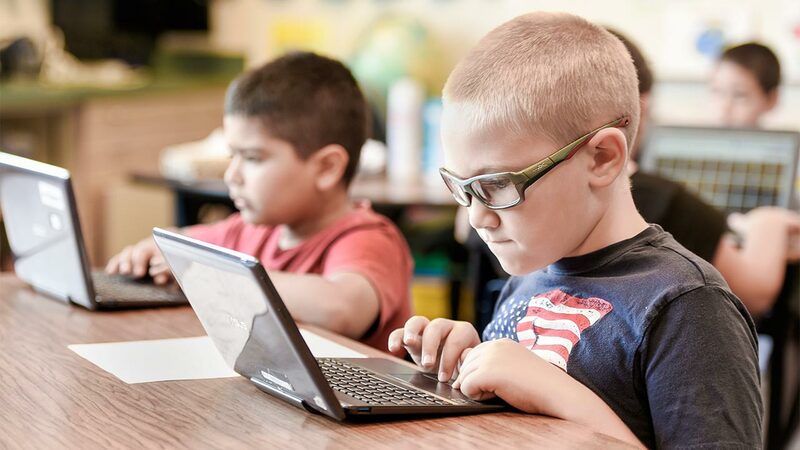 Studies have shown that without intentional integration, technology by itself doesn't make learning for students any better or more "personalized." Personalized refers to students owning and driving their learning with support from the teacher. The initiative is led by a combination of staff from multiple departments, including School Leadership, Curriculum, Instruction and Professional Learning (CIPL) and Information Technology (IT). In addition, feedback was collected from teacher and student advisory groups to help develop the optimum plan for the initiative. Last spring, following an invitation to all teachers, more than 400 applied. The 220 selected teachers will receive a Surface Pro 4 tablet and a full class set of student laptops to begin one-to-one student-to-device instruction. In addition, each of their classrooms will be equipped with wireless display adapters so that the teacher can move freely throughout the room while interacting with the Surface Pro tablet. Professional learning for the participating teachers has already begun and will continue into the next school year to help prepare them for one-to-one instruction. Teachers in the program will learn about technology skills embedded in the state standards, digital curriculum and tools, integrating technology into instruction, and student use of technology. Teachers will capture artifacts of student learning throughout the year into student digital portfolios, another key component of the program. Digital portfolios have been around for a couple of decades and provide a compilation of learning and growth as well as a "mastery" perspective beyond simple grades. To seek strategic alignment, the Personalized Learning Initiative will leverage existing system-wide curriculum and practices. For example, math and literacy curriculum already provides students with opportunities to learn utilizing supportive technology. Under the new initiative, students will have consistent access to tablets so they can take advantage of tech components in lessons. Also, teachers utilize student data, collaborate and develop common lessons and assignments, and adjust practice to support all students' achievement. All participating teachers in the Personalized Learning Initiative will engage students in learning with technology through online collaboration and the creation of digital artifacts, such as presentations, documents, and blog posts. In addition, all teachers will share their learning, strategies, and pedagogy with colleagues at their sites and beyond through online communities of support. Bringing together people in learning communities to engage in the Personalized Learning Initiative will allow for deeper understanding about delivering high quality instruction for students and will spread the practice across the system.